Those One Direction boys are very sneaky! Last month, Liam Payne went undetected when he took his girlfriend Sophia Smith to the British Virgin Islands for a romantic break. His location was not revealed until he posted photos on his Twitter account one day before heading home. There was also a report that Harry Styles vacationed in Jamaica last month! This time, it's Louis Tomlinson who reportedly went undetected while vacationing. Fans claim to have spotted Louis and his girlfriend Eleanor Calder on the French island of St. Barthelemy last week and photos have recently been appearing online. One fan, who managed to snap a photo with Louis, says she ran into the happy couple on the beach at the Caribbean destination. 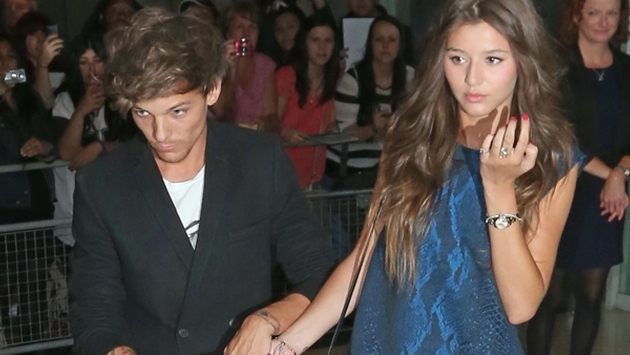 She told Twitter followers that Louis handed his cigarette to Eleanor before posing for a picture. She also claims that Louis begged her not to post the picture on any social media site until a later date. On March 8, following Louis's return home, the boys of One Direction reportedly hit the studio with Good Charlotte to work on new material for their new album. Do you ever take secret vacations? If so, tell us about it!